to see how others start their school year. While some schools have been in session since early August, teachers in my district, New York City, are just gearing up for the start of the year. They are eager to put into place ideas to start the year off right. Ed tech leader Alan November, suggests setting the tone for powerful, engaging, and self-directed learning during the first five days of school. Ensure students know they can make meaningful contributions to the world. When they have opportunities to make such contributions, they are motivated and work hard. An example of this happens in Eric Marcos’s class where students make math videos to help their peers in their class and around the world understand concepts. Let kids determine a project they are passionate about without a teacher’s parameters and assessment that will be presented at the end of the year. Thrively is a great tool to help students identify passions and help them start thinking about projects that align to those passions. To help them learn this, show students how you as a teacher learn and what your sources are. Do you belong to an online learning network? Do you use a bookmarking site? Do you follow a hashtag? Do you have a core group of people you message about certain topics? Show your students and help them figure out ways they can build their own network. There are a few places you can go to discover more great ideas. Follow the hashtag #1st5days to see what others are doing to start off their year. Alan November captured on video ways educators across the globe plan to launch their first five days. Adrienne DeWolfe created a First Five Days of School Quick Start Guide with ideas for the first hours, days, and week of school. Joy Kirr (@JoyKirr) collected several resources for starting the year off right in this First Five Days LiveBinder. So what do you think? Which ideas stand out to you? Which might you try in your classroom? If you're an innovative educator like @JPatanio or I, this type of learning by doing is right up your alley. We were invited to Lego Education's VIP event where they unveiled their new products and lessons for the school year and delighted children and adults with opportunities to play with basic Legos that help students explore emotions and more complex options like LEGO MINDSTOMS Education EV3. Having great content is important when delivering a professional learning opportunity but it is not enough. What is also important is to ensure opportunities are well organized and leave participants feeling they got exactly what they expected. Here are some considerations, followed by an explanation of each, that will enable you to accomplish just that. Send out a calendar invite to intended participants. Include the full address, cross streets, directions to finding the entrance and room. Send a follow up before the event asking those who haven't RSVP'd to do so and asking those who have RSVP'd if their plans have changed. Have name badges. At the very least have the stick on kind. If you forget to do that, have people fold a paper and place on their desk with their name/affiliation. If possible get fancy and have a name badge or card that has relevant information for the day i.e. WiFi password, hashtag for the event, participant Twitter handle. Get to your room early and check that your projector and speakers work before the class starts. Also check that the WiFi is working and that all digital resources and sites can be accessed. Ensure there are power strips so participants can charge phones and devices. If participants needed to bring headphones or devices, notify them in advance. If participants need to set up accounts, in some cases it may make sense to do this in advance so instructional time is not spent on account creation. When posting paper adhere in at least two corners. The center tape ups tend to curl in and the signage becomes unattractive and at worse unnoticeable. Try to grab attention with what you post. A simple brand logo with a touch of color can help. In advance of the session send participants the agenda which includes your presentation, evaluation survey, log in info, WiFi, and all other materials and directions. This way there are no surprises. Participants know exactly what to expect and when. They don’t have to worry about taking notes on your presentation, instead they already have it and can begin making meaning. Remember to have a link to the agenda posted in the room for anytime, easy access. 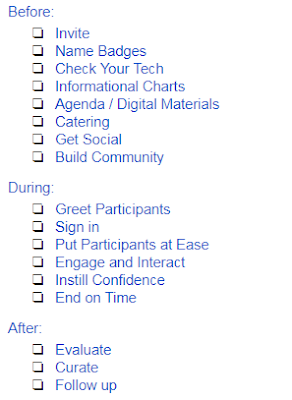 Make sure that your agendas are posted an accessible digitally after the class in an easy to find online space. For example, create a Google Sheet with all classes and agendas that can be embedded in the website of your department, school, or company. Check out these tips for creating a great agenda here and here. If you are serving food, don’t waste time with a single-sided table. Pull the table away from the wall and allow two rows to form on each side of the table. This way you get through the line much more quickly. If there are many people in the room, plan for participants to get lunch in shifts to avoid long lines. Put food for those with dietary requests in a separate area. This way you minimize the risk of not having food for those who requested it. If you are serving breakfast, remember to have non-dairy options for coffee creamer and cream cheese. Professional learning experiences provide a terrific opportunity to celebrate the work of the organizer and participants. However, this requires organizers to have social media hashtags and accounts prominently displayed. Make sure this information is on your agenda, posted in the room, and on slides. Prepare to do a wrap of takeaways at the end of the day and consider live-streaming it on Periscope or Facebook live. Create an online community for participants. This is a place where they can share information before (Intros), during (polls, question responses), and after (challenges, successes, sharing work) the day. Set the tone with a positive greeting. Presenters and all members involved in planning the day should greet participants and let them know how excited they are to have them become a part of the opportunity. Help participants engage in conversation with one another over coffee, tea, fruit. You know the drill: What brought you here today? How did you find out about this opportunity? Have information posted on how to log in to the computers and sign into the program, but allow this to occur in a casual and stress-free manner. This cordial start, gets the day off on a positive note. There are too many times where the sign in becomes a distraction. Don’t let that happen to you. Make sign in invisible. There are many ways to do that. Have participants answer a digital or analog icebreaker that includes their name and affiliation. Use this to record who is in attendance. If a physical sign in is necessary, keep these tips in mind. Place the sign in outside the classroom. Participants provide their signature prior to walking into the room. Consider splitting the alphabet in half and having the first half of the sign in on the left side of the entrance and the rest on the right side. Make sure the entrance to the room is not blocked. This stresses out participants. Less is more. Put participants at ease and instead assure them that they have exactly what they need when they leave your opportunity to be successful. Sit and git learning can be a real yawn. Make sure your participants have opportunities to interact and do hands on work. If you're showing a video, incorporate techniques like frame, focus, and follow up (WNET guidelines). If you're presenting, provide a back channel for participants to share ideas and reflect. You can check out more ideas for engaging participants in this article. "After our time together you'll know exactly how to..."
"We are right on track..."
This way you’re focusing on what they have learned. The audience is assured that they got what they came for out of your time together. It goes without saying you must not end late. Doing so shows lack of respect for the time of participants and poor planning. On the other hand, you also don’t want to end early. Too often presenters will talk about “getting participants out early.” Don’t do that. When you do, you are devaluing the experience you are providing for participants. You have also misled them. You gave an end time and now you are saying in essence, that something you planned to share with them is no longer important. Evaluate How'd you do? To answer that, review your evaluations. Google forms provides a free and useful platform you can use to survey your participants. Best practice is to have participants complete evaluations during class and have a link to the evaluation at the end of your agenda. 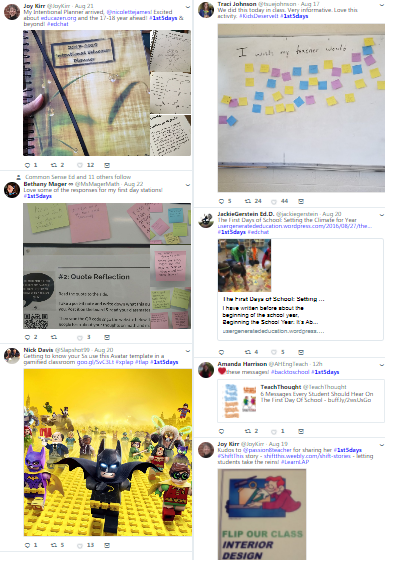 If you and your participants used a session hashtag to capture the day, it becomes easy to curate your experience using a tool like Storify. If you have a savvy participant, who likes social media, you may even have a class volunteer interested in doing this. 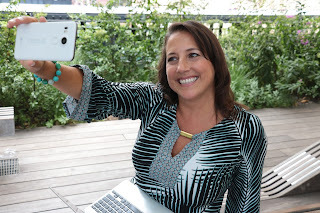 Recap your event highlights which ideally include great quotes, photos, videos, and resources. Email participants a follow up to provide evidence of attendance, summarize the learning, and include the curated recap of the event. Remind them to visit your online community and share some enticing content that they may want to go there to check out right away. What do you think? Have you experienced learning opportunities that could be improved if some of the items on this checklist were included? Have any of these strategies worked for you? Are these strategies you would try when you present? Is there something missing? This article was written with contributions from Clay Smith and numerous other educators who are members of the #NYCSchoolsTech group.